Out of my entire face, my cheeks need the most TLC when it comes to taking care of my skin. They're prone to redness, acne (and the dark spots that are left behind), and persistent dryness. While I've found different products that help minimize or cover up all those problems, I'm still dreaming of scoring an all-in-one solution. 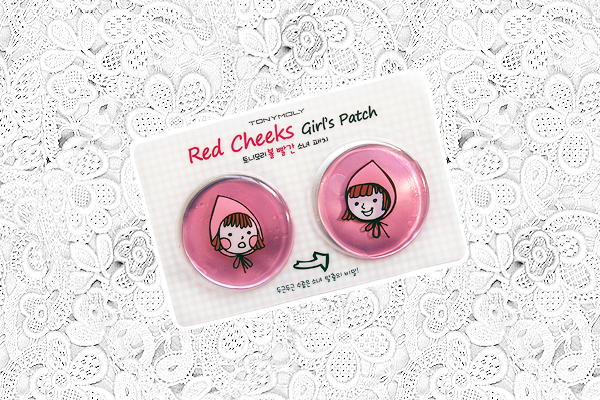 That's what I hoped the TONY MOLY Red Cheeks Girl's Patch would be when I bought it. Plus, I couldn't resist the cute packaging! TONY MOLY says this is a "cheek patch that moisturizes and soothes red cheeks containing fruit extracts for an energetic skin." Moisturizes? Soothes red cheeks? Right off the bat, this ticks almost all the necessary boxes. Any acne on my cheeks can easily be covered up with makeup anyway as long as my skin isn't dry, so I don't mind that this doesn't promise to do anything for potential or existing acne. 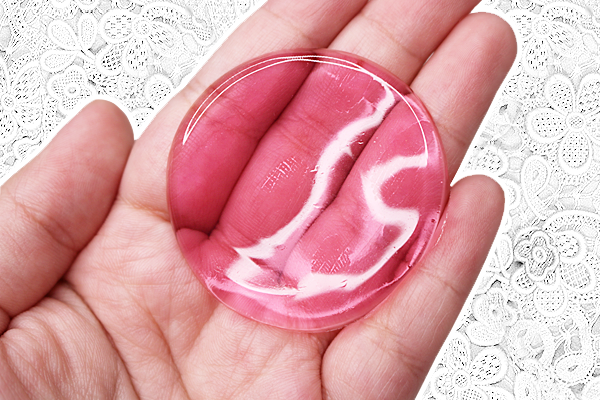 The patches themselves are made of no-mesh hydrogel which are soft and flexible. The fact that they won't allow any 'evaporation' through them while you wear the patches means the essence will stay on your skin the entire time. The gel also gives an added cool and soothing effect. So what are on (or in) these patches exactly? You can tell from the ingredients that each 'group' is meant to target a particular problem. If I want a product to really soothe my skin and minimize or eliminate redness, seeing aloe vera and green tea is always a good sign. So, do these patches make me look like a doll? Haha. They're terribly cute, I have to say. But how did they perform? I wore them for 30 minutes after washing and toning my face just like TONY MOLY instructed. When I took them off, the first thing I noticed was how soft and supple my cheeks felt. Well, at least the areas the patches were on. While they felt very moisturized and hydrated after use, sadly my cheeks were back to being dry in the morning again after using these before bed. As for redness, I didn't notice a significant difference. It lessened the redness a little on both cheeks, but honestly you wouldn't really spot that unless you took a long, hard look. There wasn't any kind of irritation (sunburn, allergic reaction, etc.) on my cheeks at the time I used these, so I can't say what it'll do for that. Wearing these patches weren't the easiest thing in the world too. TONY MOLY says they're supposed to sit tightly on the skin, but if you move around too much, lean over a bit, or even talk continuously they'll start to slide or fall off your face. I blame the fact that the patches are a little on the thicker side. If they were thin, I'm sure they'd mold and cling onto the skin more effectively. Kind of like a sheet mask. The patch size was also a bit of an issue. I had no choice but to place them on the reddest, driest spots even if there were other areas that were or typically get red and dry too. 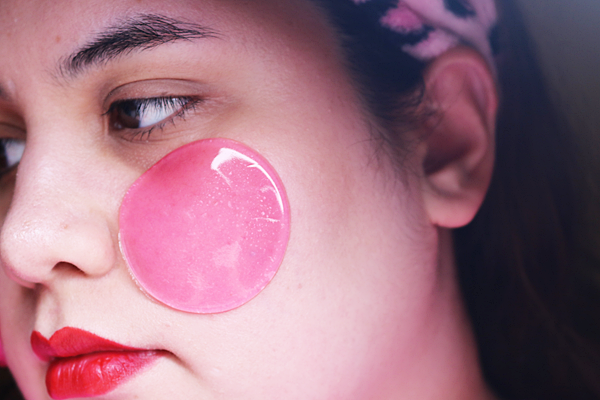 If you want all the problem areas on your cheeks covered, you'll definitely need more than one patch set at a time. What I prefer, aside from using a mask that promises the same results, is to reach for large, thin patches of square (facial) cotton that I soak in a specific serum or essence and place them on my face where needed. While the patches did sort of live up to some of its promises, like (temporarily) moisturizing and hydrating my skin, I still think it's more of a gimmicky product. It's just something cute and fun to try, definitely not a long-term or highly effective solution to the problem of dry, red cheeks. Perhaps I would have gotten better results if I used these regularly, but the patch size and staying issues aren't going to make me re-purchase these. The search goes on! Makes skin (temporarily) feel more supple, smooth, and hydrated. Contains a lot of skin soothing ingredients. Gel material keeps the product (essence?) on your skin and prevents early 'evaporation' while wearing. Gel has a nice, cooling effect. Patches don't cling to skin that well. Can easily slide or fall off. Doesn't really minimize or eliminate redness. Effects don't last that long. Patches are too small if you need to cover the entire cheek area. I can't remember the price, but I do remember thinking these were a little expensive for a one-time use product.